I spent the weekend in Hangzhou, a pleasant “small” city of almost 9 million people, which sits an hour away from Shanghai by train. I had been to Hangzhou before—during the summer of 2006, I attended the CET language program there to work on my Chinese—but this trip was far better for several reasons. Two of the main ones were (1) Hangzhou is brutally hot and humid during the summer, but very pleasant on a sunny early-winter day, and (2) There’s really not that much to do there aside from visit the West Lake, Hangzhou’s main attraction, so a weekend is the perfect amount of time to spend in the city. 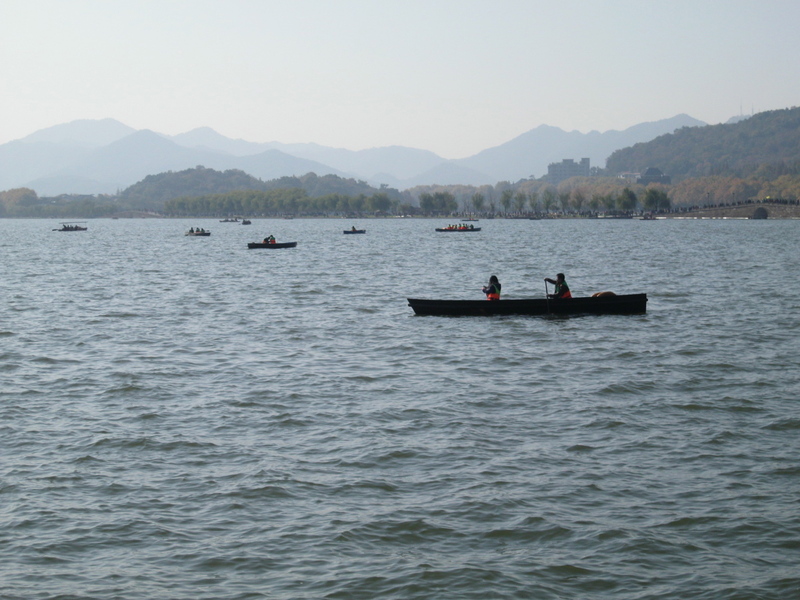 West Lake, or Xihu, is definitely an attraction, though. It’s a massive body of water that looks beautiful from nearly any spot on the shoreline; my favorite vantage point is on the eastern edge with a view of gauzy mountains in the distance to the west. West Lake has inspired painters and poets for centuries, and now attracts hordes of amateur photographers jostling for the perfect shot. On both days of the weekend, there were also a number of outdoor performances taking place lakeside, as Hangzhou’s singers and dancers put on small shows hoping for a few coins to fall into their caps. 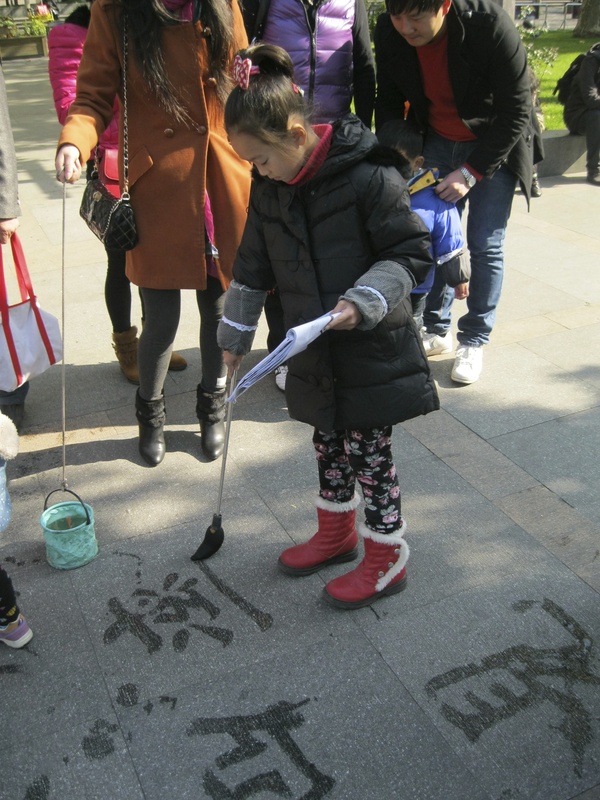 Sunday morning drew out the calligraphers of the city, who used oversized brushes and buckets of water to write lines of poetry on the sidewalk, where they were quickly admired before the characters evaporated beneath the sun. 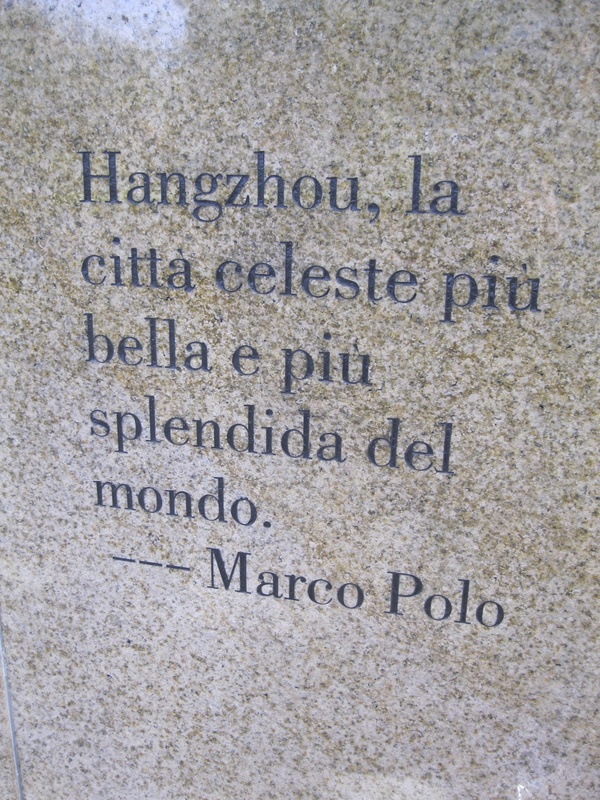 A previous visitor—some guy named Marco Polo—deemed Hangzhou “the city of heaven” and raved about its beauty. The city itself has changed since Marco’s time, and I don’t find its new Pizza Huts and Lamborghini dealerships particularly alluring. But West Lake remains special, even as Starbucks outlets begin to dot its shoreline. Why did it take me seven years to make a return trip? I don’t know, but I don’t expect to let that much time pass again before my next stroll around West Lake.